REPELS-and-kills ticks, fleas, and mosquitoes, repels biting flies, and kills lice. Kills ALL flea life stages. including eggs. Prevents fleas on treated dogs from infesting your home. Kills fleas within 12 hours of application. Gentle enough for puppies 7 weeks and older. Waterproof. 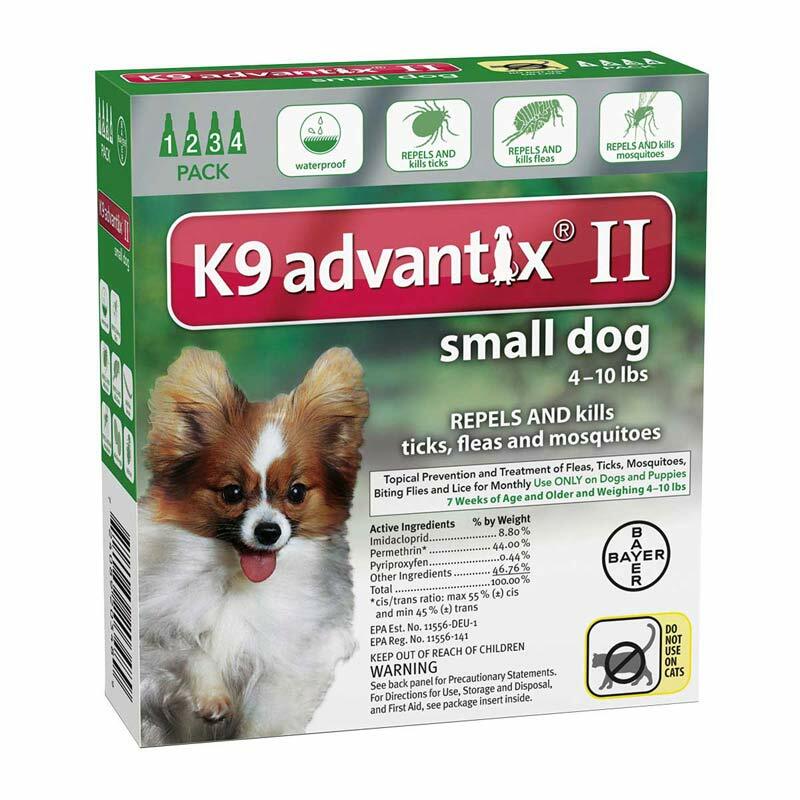 Do use K9 Advantix II on cats.